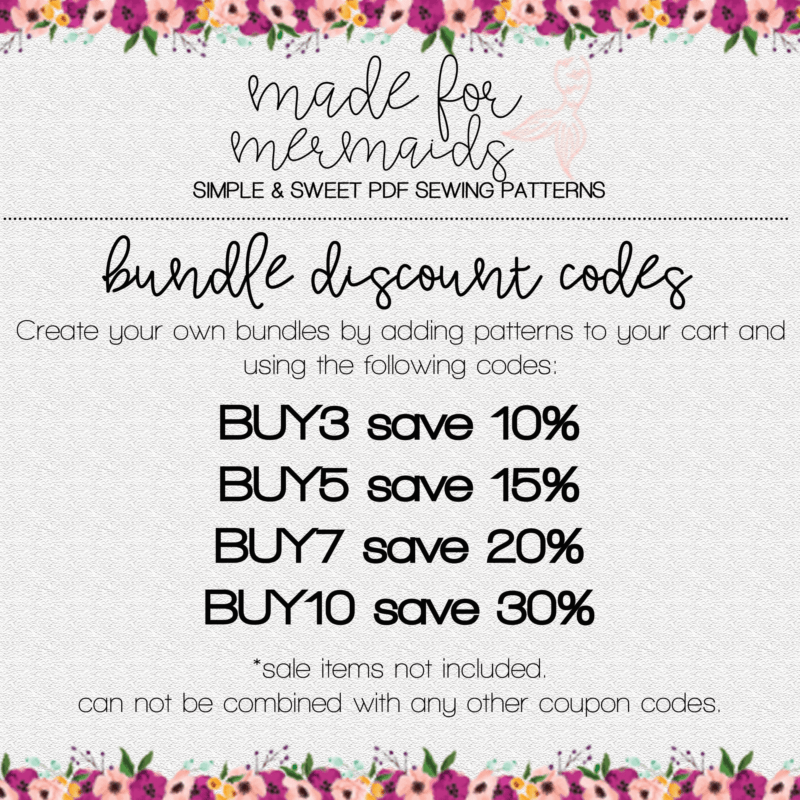 Use code BUY3 after placing 3 patterns in your cart. The total price will be changed to reflect the 10% off. Minimum purchase of $27. Use code BUY5 after placing 5 patterns in your cart. The total price will be changed to reflect the 15% off. Minimum purchase of $45. Use code BUY7 after placing 7 patterns in your cart. The total price will be changed to reflect the 20% off. Minimum purchase of $63. Use code BUY10 after placing 10 patterns in your cart. The total price will be changed to reflect the 30% off. Minimum purchase of $90.